Another beautiful day in sunny Southern California. Are you going to turn on you air conditioner all day long and spend hundreds of dollars a month again? Or are you going to open your windows and doors ? Are you going to do something about your window screens and door screens? Are you missing screens on some or all of your windows? 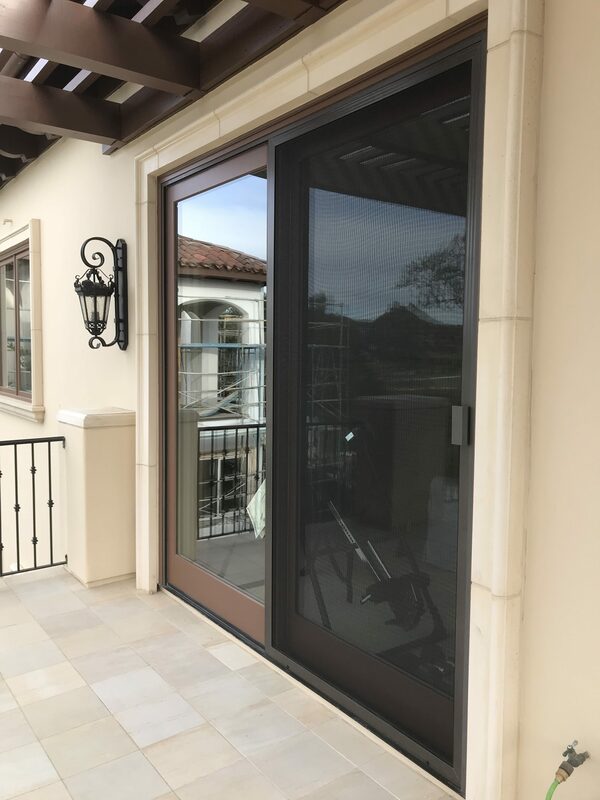 How about you glass sliding door, french doors or front entry door are they missing sliding screen doors, retractable screen doors, swinging screen doors or wood screen doors? My electric bill is one that I really struggle with. Reviewing our bills over the past year, even in the cooler months when we use gas heat, our electric bill runs about $95. Our home is 1800 sq. ft. I’ve recently had my drier fixed, so hopefully we’ll see some relief from that, but it vents out through the roof so it still runs longer than it would if it had a shorter venting. Besides caulking around our windows, do you have any suggestions on cost savings? Refrigerator/Freezers – If they are old, they may be inefficient and run constantly. Electric range (if applicable) – Again if it’s old, it may not be as efficient as it could be. Also if you bake/cook a lot, it may raise your bill. Gas is more efficient for cooking that electric (IMHO). I think electric ranges/ovens waste a lot of energy in pre-heating. Window/Door Screens – Install screens that are missing on your windows and doors on glass sliding doors, entry doors and windows to allow for increased ventilation, temperature control and insect protection. Lights – Consider replacing non-essential lighting with fluorescent units. We have yard light that gives us as much light as two 60 watt bulbs and uses only about 35 watts. Dryer – Make sure it is clean and free of lint. Consider the use of an off-peak meter. The power is cheaper, but you have to use during times when overall electrical demand is lower (late evening etc.). Check with your local power company for more information. Hot water (if applicable) – If you have electric hot water, that could account for a large part of your bill. If possible, switch to gas. If that is not feasible, reduce the temperature of the tank to 130-140 and insulate it with a jacket. The best value for hot water is what is called ‘on demand hot water’. It is also known as tankless hot water. It heats the water as you use it. You have a continuous stream of hot water and don’t have to heat it while you store it. The initial cost can be prohibitive, but if you have a lot of family members or use large amounts of hot water, you realize savings pretty quickly. Air Conditioning – If it is an older model, it may not be as efficient as it could be. Also, ACs that operate on 220 volts versus 120 volts generally use less power. Overall, check with your local power company. Some offer programs where they will help you find areas in your house that are using excess power. Some will even help you make changes to become more efficient. Take the time to call and set up an appointment with us. All screen door and window screen installation on-site! We will go around your house with you and we will reccommend what work needs to be done, only for what you really need and few different options. We will show you our samples, catalogs and brochures. I guarantee all my work. Rescreening of wooden screen doors is something we have been doing for years. The screen mesh available for screen doors are pet screen, solar screen, sun screen and regular fiber glass screen. For pet problems we recommend pet screen which is 7 times thicker than regular screening. Another solution for home screening is sun screen, If you have sun coming in through your wood door and would like to tone it down a bit, then solar screen is what you need. We would be happy to answer any questions you may have on screens for your home just give us a jingle or e-mail us anytime. Door hardware for wood doors is also available if you need it. Most of these jobs are custom and we need to take a look first to make sure we can get the door hardware your door needs. 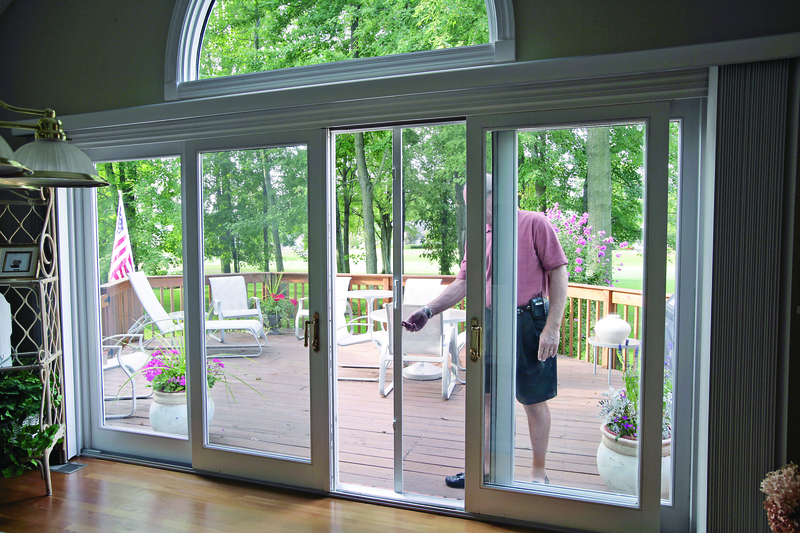 We specialize in high quality Wood Screen Doors and rescreening of Wood Door Screens. All jobs are performed on-site for a custom fit. 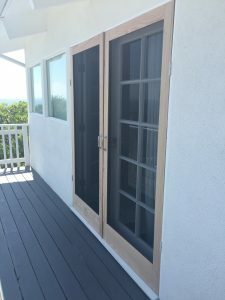 We provide all sizes of wood screen doors either swinging wood screen doors or sliding wood screen doors with a selection of wood frames, using only top quality wood in nine available lumbers. Are you having problems with your wood screen door? We are a professional screen company that specializes in custom screen jobs. 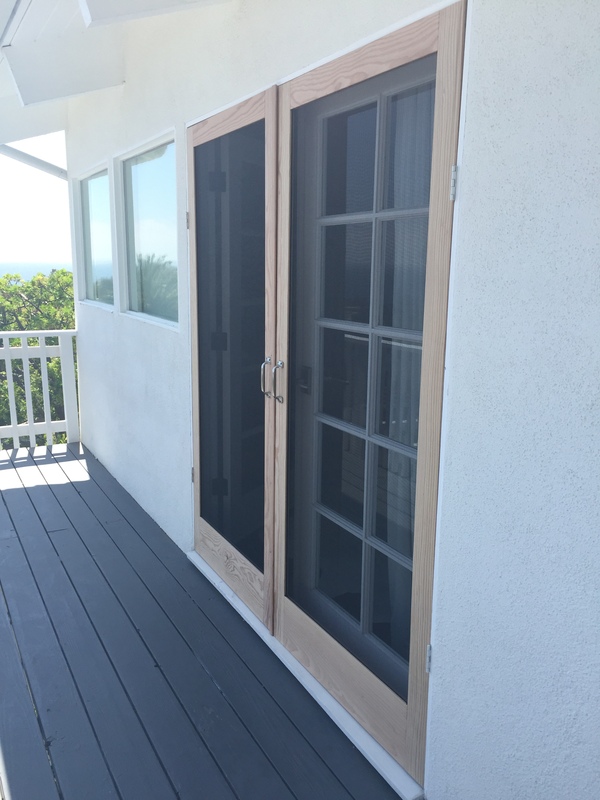 Wood screen doors a worked on with special care and re-screening them is our specialty. Rescreening doors can be in gray or charcoal (black) mesh. Solar screen is available if you have a problem with sun rays in your home. Pets can also be a problem when they stand on the mesh or scratch the screen mesh, but we have pet screen for this and it works like a charm. Please give me a call for a estimate on any of the products I mentioned. 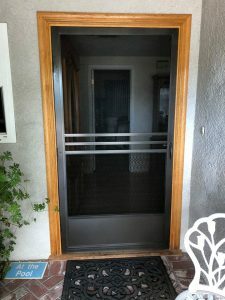 you’re searching for Screen Doors in Granada Hills, CA. 91344, 91394. or other near by areas, here are some other cities we service. Mobile Service in the following areas: Agoura Hills, Bel Air, Bell Canyon, Beverly Glen, Beverly Hills, Brentwood, Calabasas, Canoga Park, Chatsworth, Encino, Granada Hills, Hidden Hills, Los Angeles, Lost Hills, Malibu, Mission Hills, North Hills, Northridge, Oak Park, Pacific Palisades, Porter Ranch, Reseda, Sherman Oaks, Simi Valley, Studio City, Tarzana, Thousand Oaks, Topanga, Van Nuys, West Hills, Westlake Village, West San Fernando Valley, Winnetka, Woodland Hills, Wood Ranch.